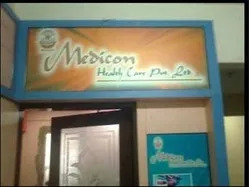 "Medicon Health Care Pvt.Ltd" is ISO 9001-2008 Certified company & approved by Dubai Accreclition Center that promises good health for all by providing quality medicines at affordable prices and committed to care the people for keeping good health. The company is WHO-GMP licensed pharma manufacturer that is lade by a team of dedicated professionals who are committed to deliver the best and most reliable medicines to our customers. Customer satisfaction is our prime aim and we make best possible efforts to achieve it. We firmly believe in ethical business practices and maintain full transparency in all our activities. 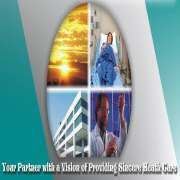 Our belief lies in consistent efforts to provide safe, effective and reliable pharmaceutical products to our customers. This kind of a dedication towards work and maintenance of high quality has enabled us to create a niche for ourselves in the medical domain. Exporter and Outsource Manufacturer of Liquid Syrups, Dry Syrups, Tablets, Capsules and Non-sterile / Sterile Ointments. Historically, pharmaceutical development has been the domain of chemists, analysts, engineers and physical pharmacists but discrete expertise and high end technology is becoming more prominent in today’s gen next era. That is why we are able to serve the diverse requirements of pharmaceutical and health care sector due to our cutting edge technology and qualitative medicine ingredients. The wide range of drugs offered by us includes Antibiotics, Anti Allergic & Expectorant, Analgesics, Nsaids, Muscle Relaxant Drugs, Anti-diarrhoeals, Heamatinics & Calcium Supplements, Gastroenterology Medicines, Anti Diabetic and Anti-cold. Complimenting our trusted range of tablets and syrups we use equally superior quality packaging material such as bottles and vacuum packaging for tablets. To ensure safe packaging to induce a superior quality and long shelf life of medicines we focus on creating a pollution free environment to regulate the moisture level at the packaging premise that assures no foreign particles remain present inside and get mix with our range. At all stages we follow stringent quality check process to ensure the highest standard of packaging material as per the specifications of our clients. Being a performance driven organization, we are dedicated towards enhancing and developing our people, which aims to prepare us for both today's complex requirements and future requisitions. Our primary goal is to match the needs of the business with the aspiration and potential of our people. We have a competent team of highly qualified professionals who work in close coordination to maximize the opportunities of achieving organizational goals & objectives as well as being above par at our associate’s requirements. We appoint our efficient professionals after testing their skills and knowledge in a particular domain. Our team comprises of procuring agents, lab assistance, technicians, engineers, quality inspectors, researchers, sales and marketing personnel etc. Our procuring agents are well aware of selecting the correct medicinal ingredients. The team of quality analysts also stringently checks the whole assortment to maintain the needed industrial and regulatory standards. Owing to our focused aim to innovate and excel, we have created a niche in the domestic as well as international market. We strive to attain clinical and economic benefit through our contribution in medical science by applying scientific rigor. We look forward to become leading manufacturers by executing our growth oriented strategy. Our mission is singular yet powerful and that is to discover, develop and deliver innovative medicines within the approach of every section of the society and help patients prevail over serious diseases. We support a clean and healthy environment and subscribe to policies and practices that merit the trust and confidence of our society. We are determined and always prepare to take new opportunities based on strong fundamentals. We wish to achieve excellence in new pipelined products as well. To ensure long term professional growth of us and our team by optimizing their talents. By 2010, as we step into the next phase, we are driven by our ambition, willing to invest in the growth of our people and business, marching towards the new horizon of pharma world leadership. Our Vision: To become a technology based Indian pharmaceutical company & to emerge out as a strong player in the domestic & international market.